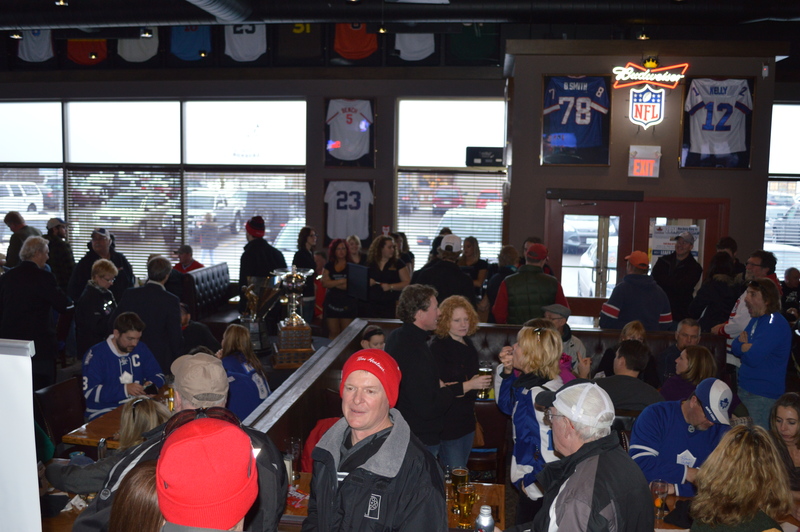 What a great day it was for “Hockey Day” in Paris. 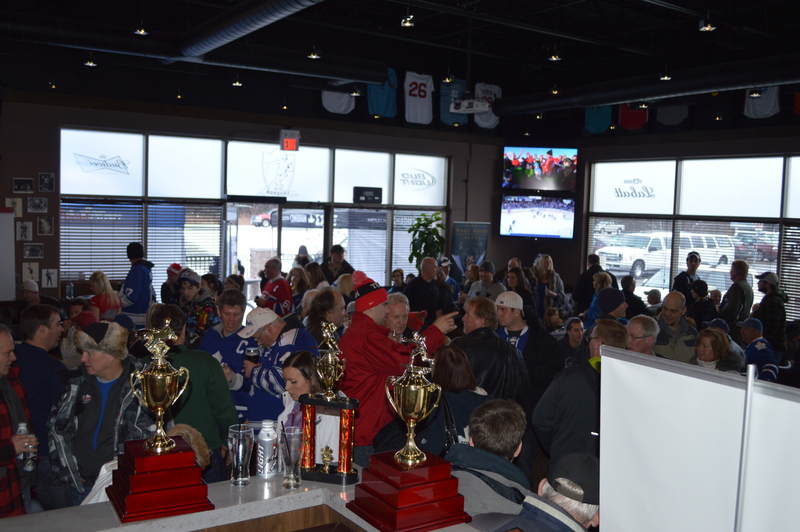 Thanks to Legends Taphouse & Grill and Molson Canadian for hosting such a great event!! 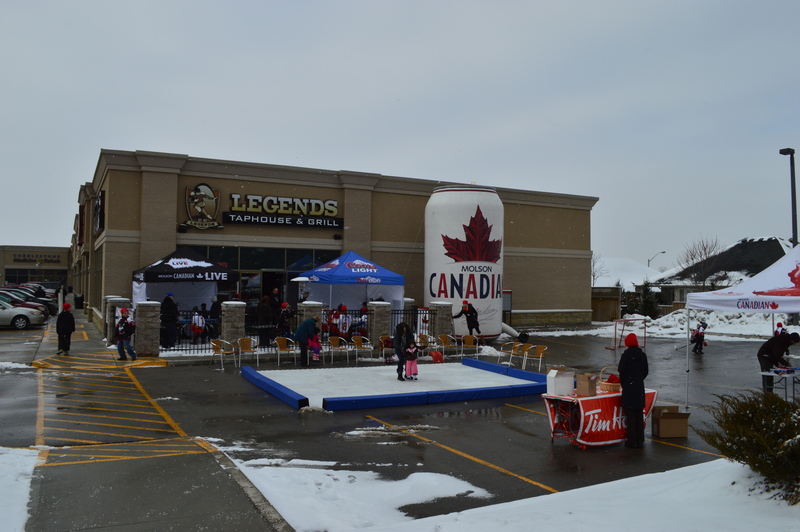 Skating, games, music and great food!! 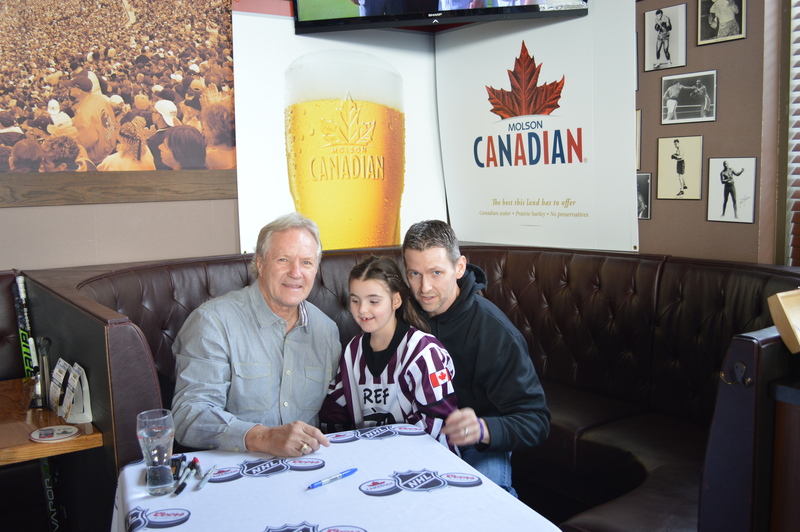 Former Leaf Great, Darryl Sittler with Elle and Kevin Morton. 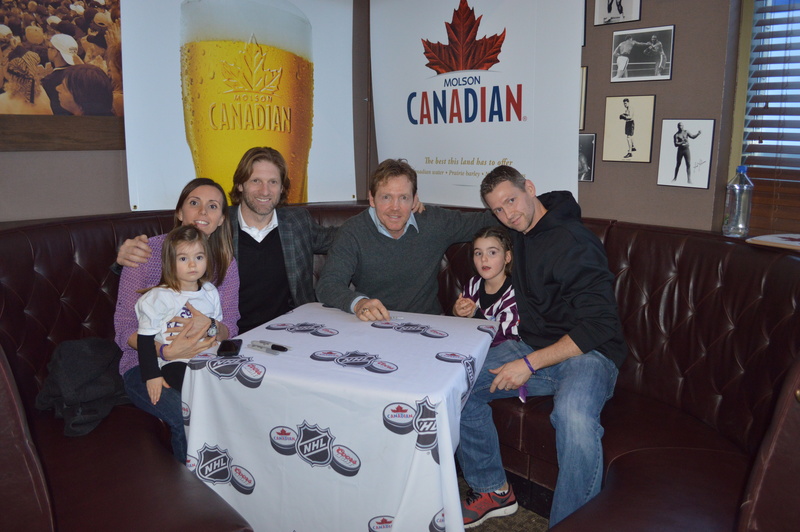 Former Leafs, Shane Corson & Gary Leeman, with the Morton Family. 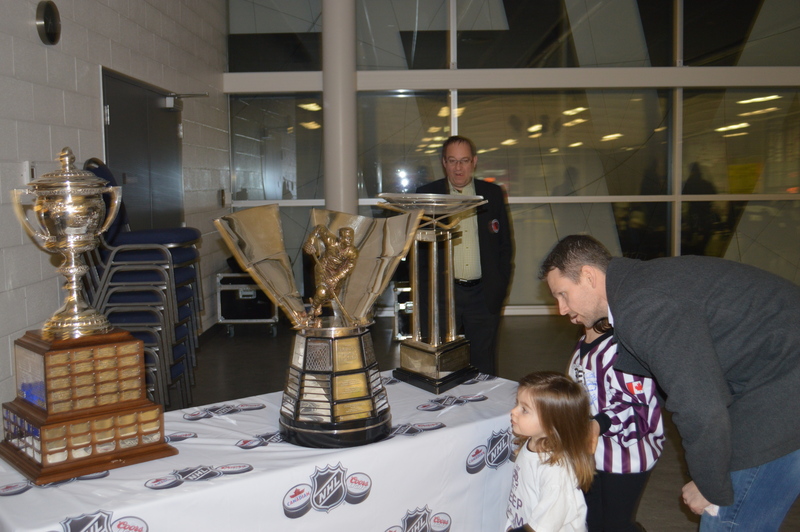 NHL Trophies – Lady Byng, Rocket Richard & The President’s Trophy. 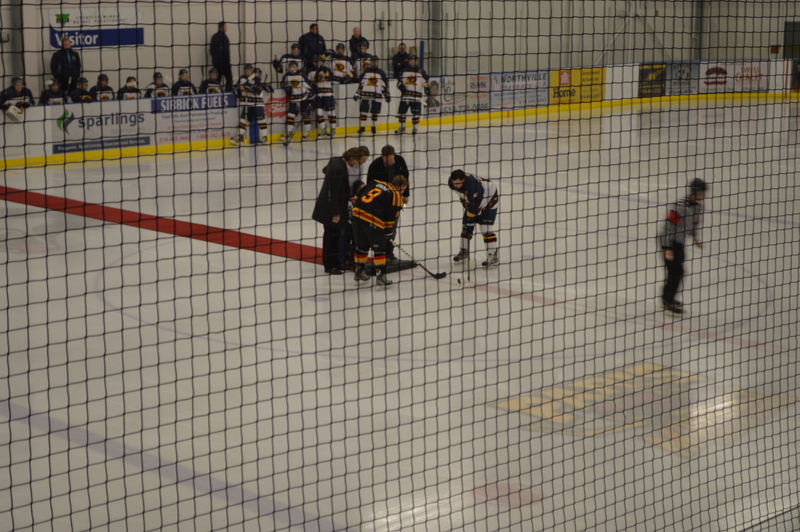 Ceremonial Puck Drop with Shane Corson, Gary Leeman and Elle & Kevin Morton. Paris Star helps to raise awareness! !